Pendants of some sort have been around since the Stone Age. First used as amulets for good luck, or as talismans as protection, pendants soon evolved to carry a variety of concepts, such as a person’s group affiliation or religious beliefs. Today, pendants are the perfect gift for any occasion. Wearing pendants is a practice that dates to the Stone Age. In Eurasia, the oldest artifact found was a 40,000-year-old old elk bone pendant, although the reason for its use remains a mystery. In ancient Egypt, pharaohs wore pendants as a symbol of power and prestige. Animals were a popular motif, with cats as the most popular design. The Greeks first introduced gold and gems into pendants, and by 300 BC, pendants had evolved into something similar to what we see today. Cross pendants are extremely popular. Christians wear a cross as a sign of faith, and those made of gold are popular gifts for religious occasions such as a christening or first communion. Reliquary crosses also became popular with claims that they hold parts of True Cross. However, after the 16th century, cross pendants become more of an ornament rather than a sacred object. Today, most people wear pendants for ornamentation. Gracious Rose offers a wide variety of high-quality pendants to match your unique personality, all at a reasonable price. Pendants are the best gift for virtually every occasion. Due to their unique designs, pendants make ideal personalized gifts. Is your mother’s birthday coming up? 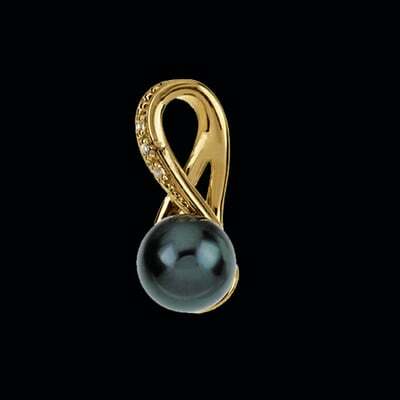 Consider our "Diamond & South Sea Pearl Pendant" to remind her how much you care. Are you looking to reward your daughter for a job well done? Our "Gemstone and Slant Heart Pendant" is an excellent way to show your appreciation. Do you want a great surprise for your wife? 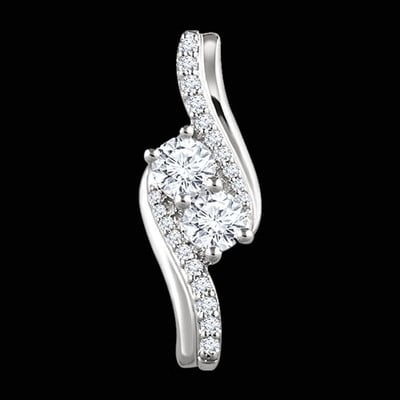 Our "Unique Platinum Diamond Pendant" sends a clear message of how much she means to you. Gracious Rose offers a variety of exquisite pendants made from the finest precious metals and stones ethically sourced from environment-friendly suppliers. We offer the highest quality gold and platinum pendants, gemstone pendants, diamond pendants, and more. Skilled artisans handcraft all Gracious Rose pendants to ensure our customers get the finest quality jewelry available. Our labor of love is a worthy gift for the special women in your life. Choose from a variety of handcrafted pendants at Gracious Rose. Made only of the finest precious stones and metals, our pendants are the perfect gift for women of all ages. Buy one today!